Learning a new language is probably on the list of everybody’s 2019 resolutions. Korean is one of the widely spoken languages in the world and learning the language is a key to endless opportunity and most importantly being part of 75 million people around the world who speak Korea. There are countless ways to learn this language, however, learning Korean through authentic materials in one-step to mastering the 17th most used language in the world. The following is a comprehensive list of different materials for better learning of Korean as a language. It is essential to understand that each of these courses has unique designs depending on the level of proficiency and more importantly, why one wants to learn Korea. Some of these courses include the following. The 90-Day Korean is arguably the best-structured course in this list. The course designers realized that most people around the world are sceptical on learning Korean mainly because typical school learning approaches are not fun and lack a customized approach to learning the language. Fortunately, the course has one of the best approaches to teaching Korean, especially through interesting stories. In addition, 90 Day Korean is a vast course that ensures one understands all the concepts of Korean as a language. After the 240 hours, you can easily converse and write in Korean, and this is the best way to learn Korean fluently. Different language learners have different expectations in terms of learning time. How to learn Korean in 3 months is a reality with this course. Conversation Countdown is one of the best courses for learners that want to learn Korean in the shortest time possible. Apart from being the best course for fast learning Korean, it is one of the best in terms of language structure. This course is one of the few courses that connect the learner with Korean speakers. This connection not only makes one learn the language at a faster rate but also removes the fear of making mistakes. One thing that sets this course apart from the rest is the motivation and the approach to learning Korean. The goal of this course is to help the learner understand Korean well to be able to discuss with native Korean speakers. Unlike many courses, the end game of this course is to walk with the learner for 90 days. During this period, the learner interacts with Korean speakers, and they learn a lot on sentences structure while speaking and most importantly vocabulary selection. KoreanClass101 is unique in its approach to teaching Korean. It is one of the few courses that use audio podcasts, and this choice of teaching means that the target audience is both intermediate and beginner learners. KoreanClass101 also one of the few courses that give the learner a chance to learn Korean from the basics to intermediate level. In addition to using podcasts, KoreanClass101 also explores other ways of learning the language such as through PDFs and most importantly, live conversations. Language is pronunciation, and Forvo is the best learning source that has interest in how people pronounce Korean words. While learning Korean, it is normal to have a difficulty pronouncing words but thanks to this learning source, getting the best pronunciation from a native is not farfetched. The website is home to more than 2.6 million active users and getting the best pronunciation is not farfetched. In addition to being one of the best places to get Korean pronunciation, Forvo has one of the best user interfaces. Enrolling to this learning source is without a doubt the best way to learn Korean fluently. Korean, just like other languages is unique and for one to have a mastery of it, speaking and conversing with other people is irreplaceable. Italki gives the learner the best environment to talk to Korean and with professionals and tutors. Italki is also the only learning source that provides the learner with the opportunity to choose a tutor and the number of hours. The use of AI is on the rise and learning Korean using AI system is a reality in Glossika. The system helps the learner to understand which words to use when. Glossika is also one of the few learning sources that have capitalized on the use of repetition in learning Korean. In addition, this platform helps the learner interact with different sentences and sentences structures. As the name of this source suggests, it is a learning dictionary specifically for Korean. However, Naver is home to some of the best collection of simple sentences, words and audios files, all in the aim of making Korean the best language to learn. In addition, Naver is also supposed to equip the learner with daily Korean vocabulary, and this is how to learn Korean in 3 months. LingQ simplifies learning Korean for an advanced or intermediate learner. First, it is the first platform to have thousands of podcasts in Korean as well as other different materials. 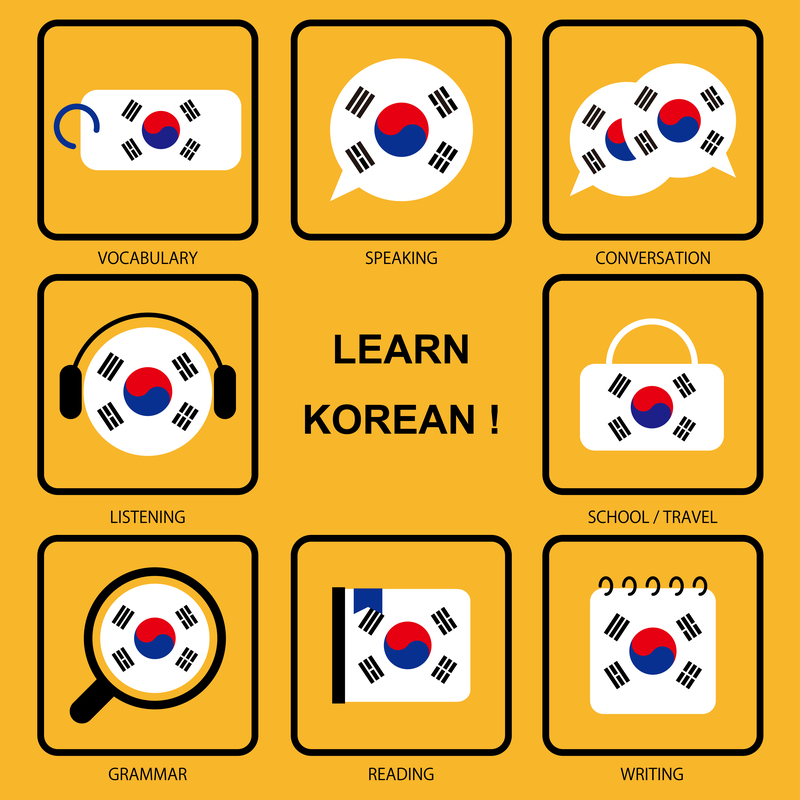 Since the needs of an intermediate and an advanced learner are different to those of a new Korean learner, the platform offers the learner with endless interview materials; all with the aim of helping the Korean student understand the conversational Korean language. Although KoreanClass101 is an advanced tool for learning Korean, KoreanClass101 is one of the few sources that provides the learner with all the learning materials. One of the most iconic elements in this source is the arrangement of different podcasts that makes learning Korean at an advanced stage entertaining. Due to KoreanClass101 effective approach to learning Korean, different authoritative news sources have termed it as the future of learning any language apart from Korean. After learning the basics in the Korean language, the next important stage for any learner is to practice. Clozemaster Pro gives the learner the best environment to sharpen their sentence structures, vocabularies and most importantly their choice for vocabulary. All these approaches make this learning source the best source for advance learning.